The site of No. 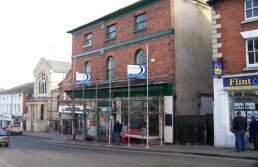 50 and 50a Broad Street is being developed into four freehold shops and six apartments plus a fifth shop in the rear access way. 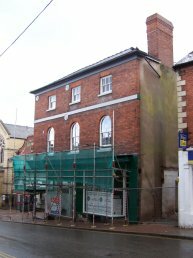 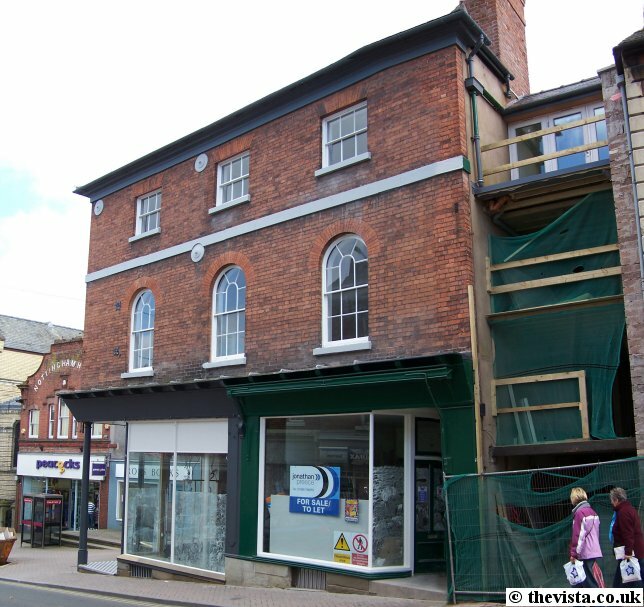 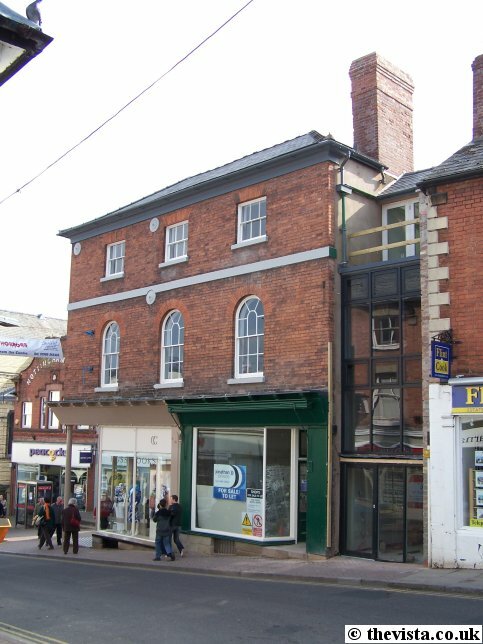 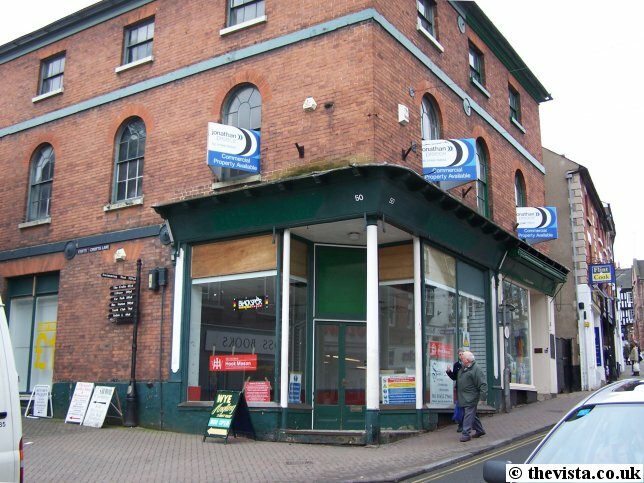 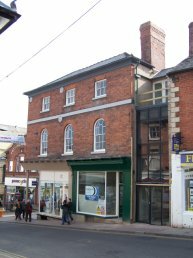 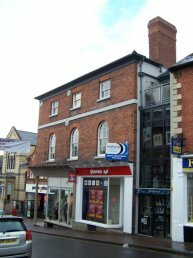 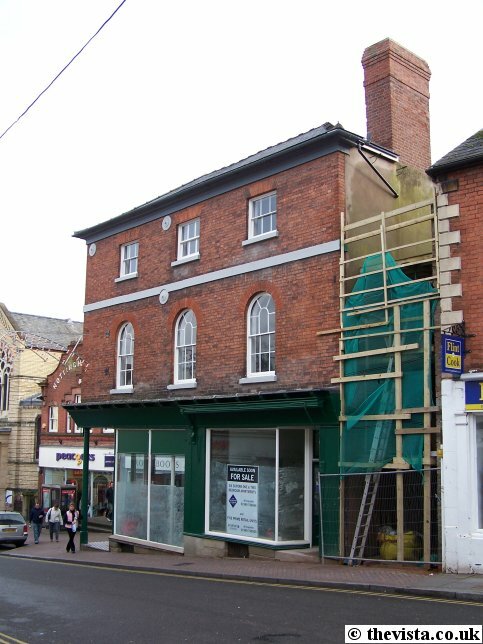 The building has been around since the start of the 1800's and was one large shop called "Bank House". 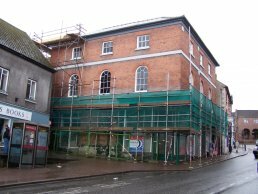 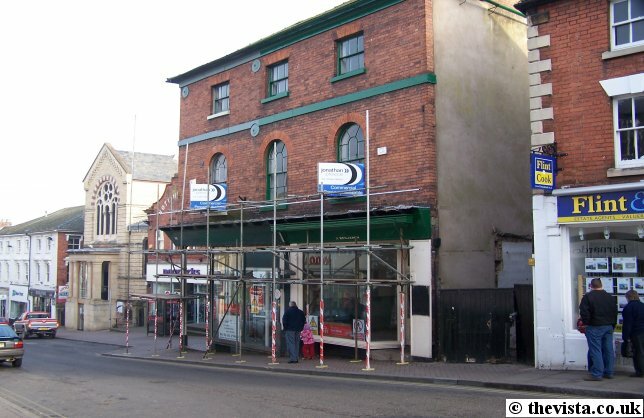 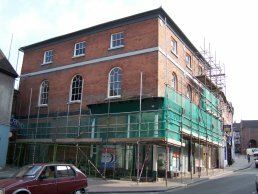 According to a article in the Ross Gazette on Thursday 12th January 2006, Samual Wall's "furnishing and iron merchants" was one of the first occupants. 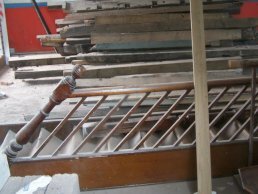 Since then it has been several iron and brass founders, and this included Esau Palmer in the 1840's and 1850's and was then part of Perkins and Bellamy until 1900 when it closed. 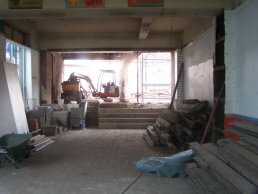 After the closure, the building was split into two shops (hence 50 and 50a). 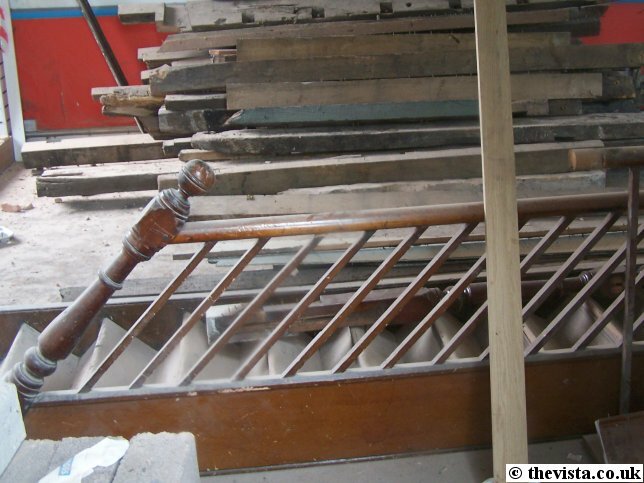 By 1909, no. 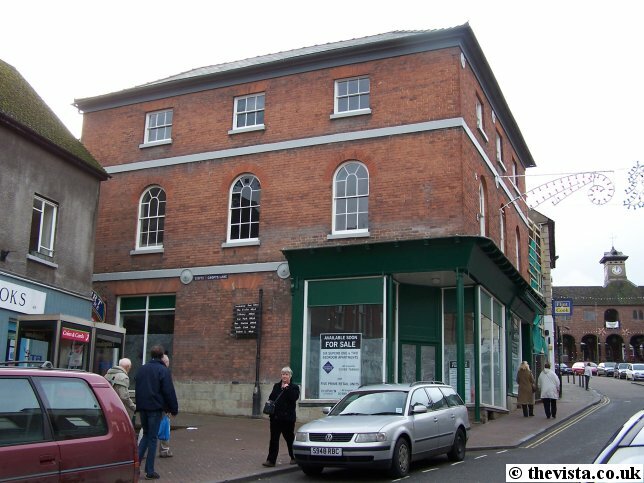 50 was a Tea Room run by Joseph Cox which then became, in the 1920's, Oliver Lewis' furniture store. 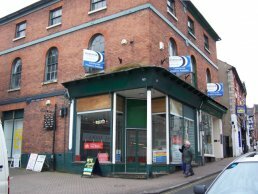 In around 1939, the India & China Tea Company used the site and then Dazeley Bros (known as Dazeleys) took on the site in the mid 1930's and this continued until at least the early 60's and adverts appear for the shop in the "Ross-on-Wye - The Gateway to the Wye" Souvenir Guide. 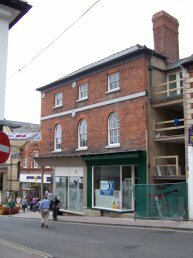 In 1984, Lexterton Ltd were using the shop and was also a furniture shop. 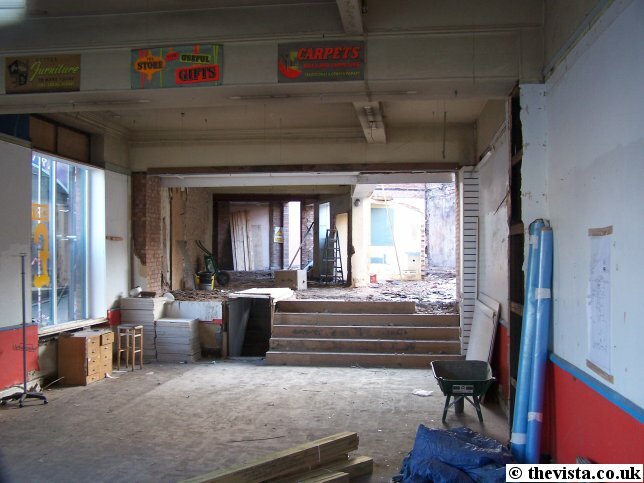 More recently, in 1999 it was the Ross International Festival Box Office. 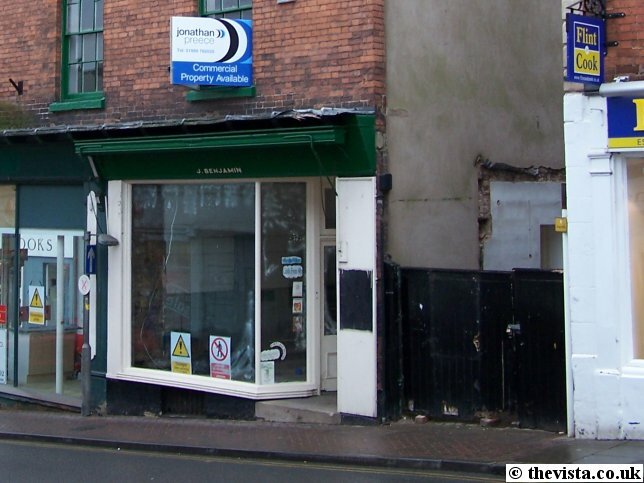 This can just be made out on the sign above the door. 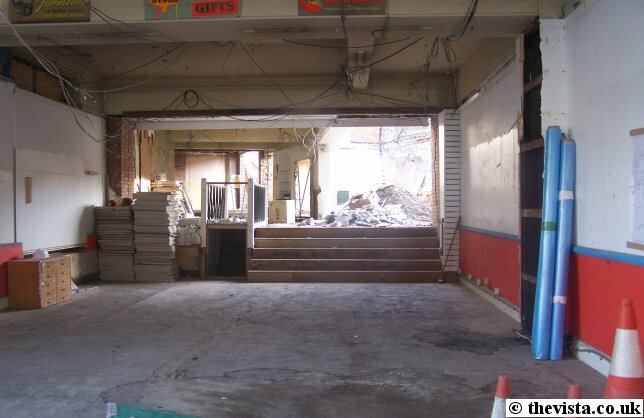 Then it became a "Pound Shop" in 2000 until 2005 when it became "Neat and Cheap", which was a similar discount store, and they remained until the development started. No. 50 Broad Street - "Bank House"
Here we see the interior of the 50 Broad Street Ross-on-Wye as of 14-1-2006. In 1902, Joseph Benjamin moved into 50a and ran a "Cash Chemists" from there. 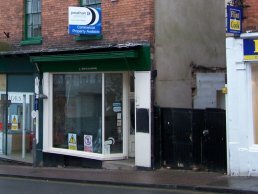 The chemists remained here running under the name "J. Benjamin" for over 100 years until in around 2004-2005 when the shop closed. 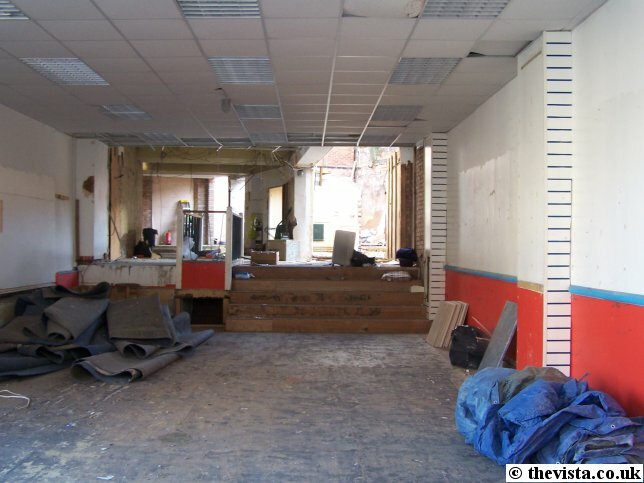 Recently, over Christmas 2005/2006, it was a party shop called "Party Plan It" which lasted right up until just after New Year '06 when it closed and the redevelopment started soon after. 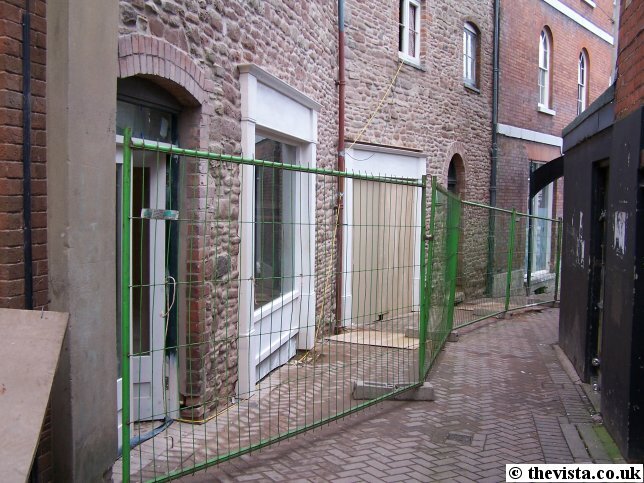 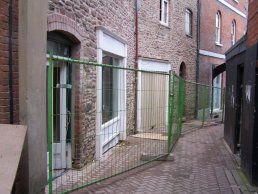 The gateway to the right of the shop is going to be converted into the fifth shop. 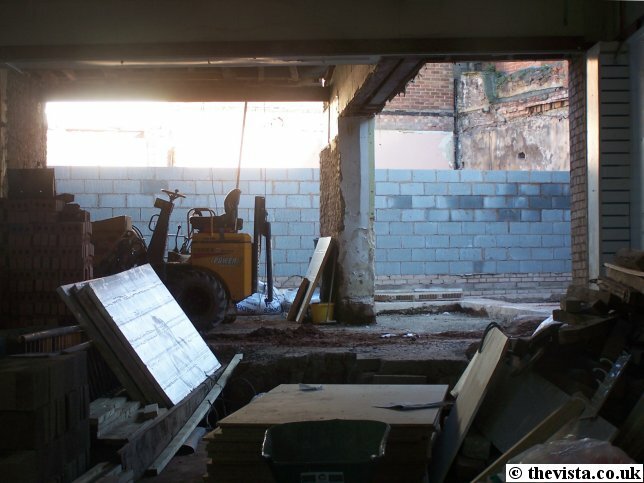 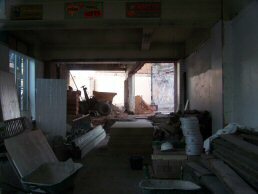 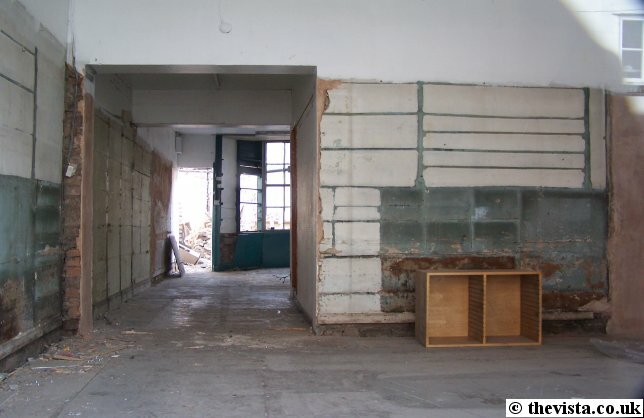 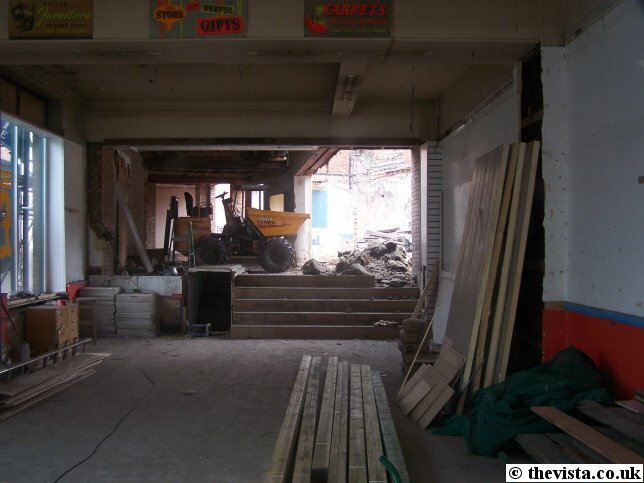 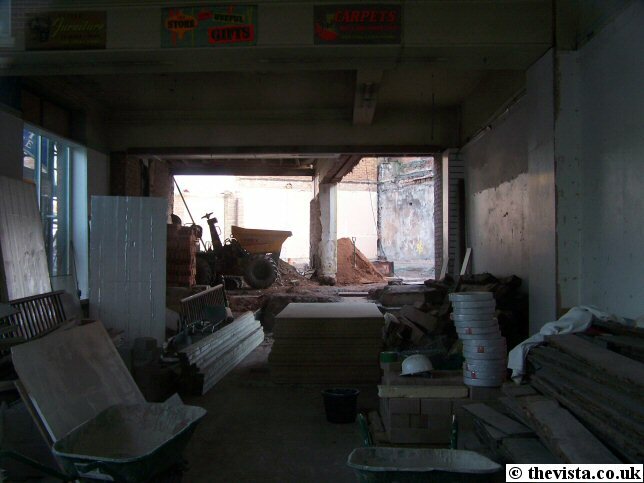 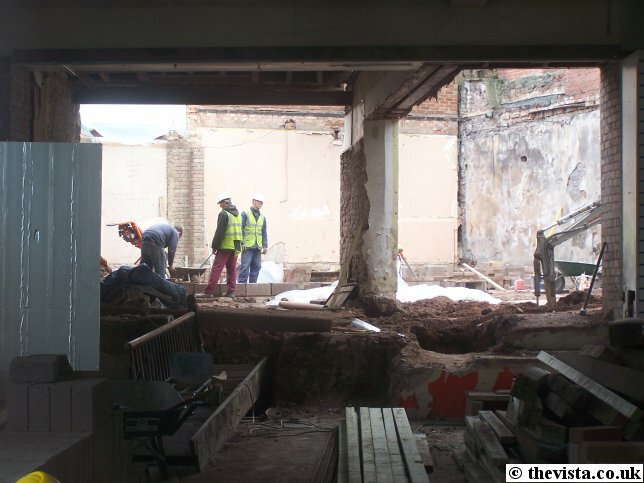 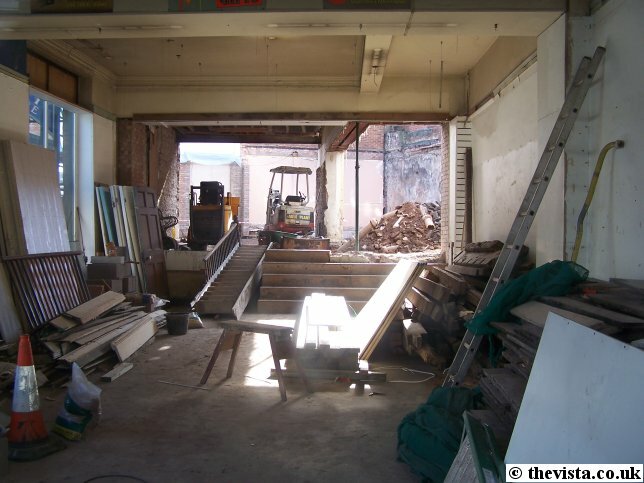 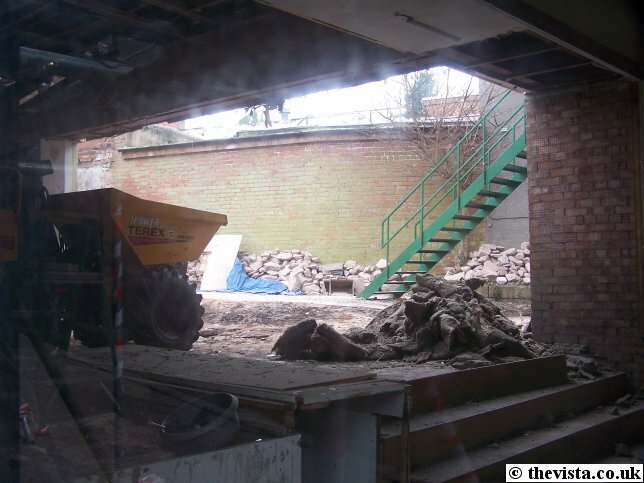 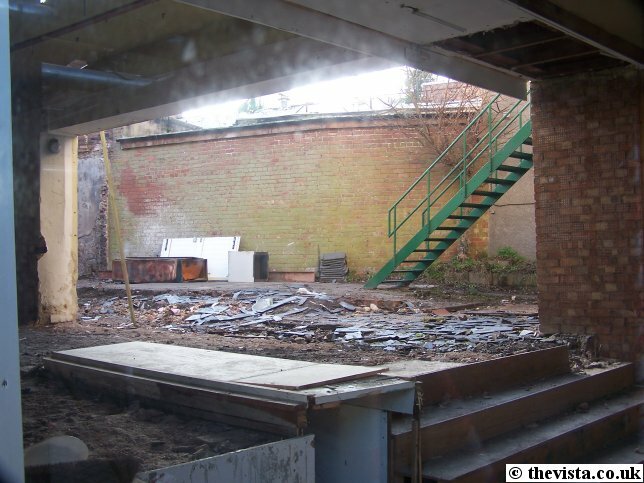 Here we see the interior of the site of J Benjamin's chemist shop as of 14-1-2006. 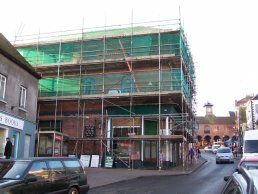 Scaffold was erected this morning around the lower part of the building. 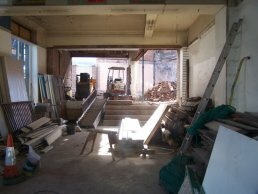 The back of the shop has been pretty much demolished and and inside tidied up and the false ceiling removed. 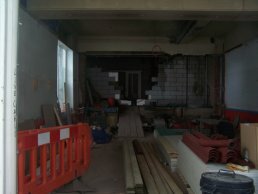 Earlier this week, asbestos warning tape was put across the interior doorway of 50a but that seems to have been dealt with and has now been removed. 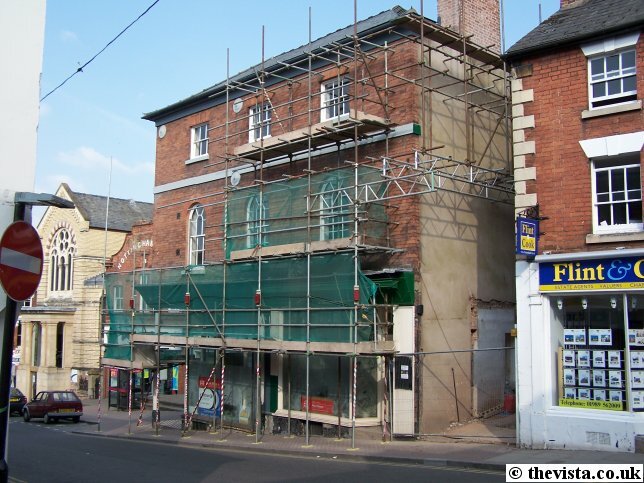 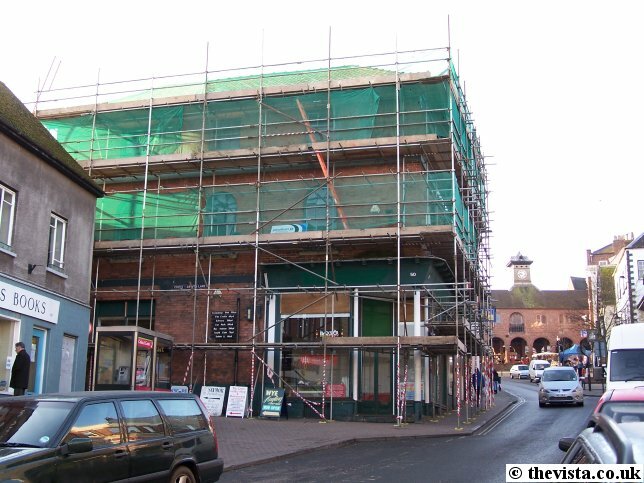 Left: More scaffold has been erected ready for work to be done on the outside of the building. Below left: The window on the left has been exposed and the signs on the beam, at the top of the shot, may well have been there since Lextertons had the shop. 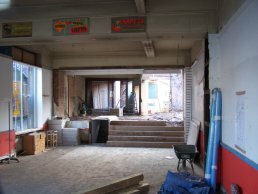 Below right: The courtyard area can be seen here with some stairs leading up to the upper floors. 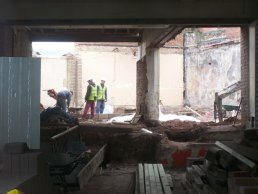 The work is continuing on 50 and 50a Broad Street. 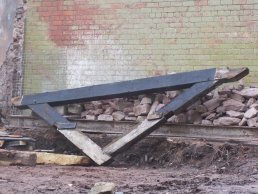 Here we can see a roof truss. 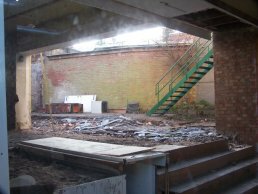 This has come out of the building at the back of 50 Broad Street (the one that runs along the side of Crofts Lane) as it has had it roof completely removed. 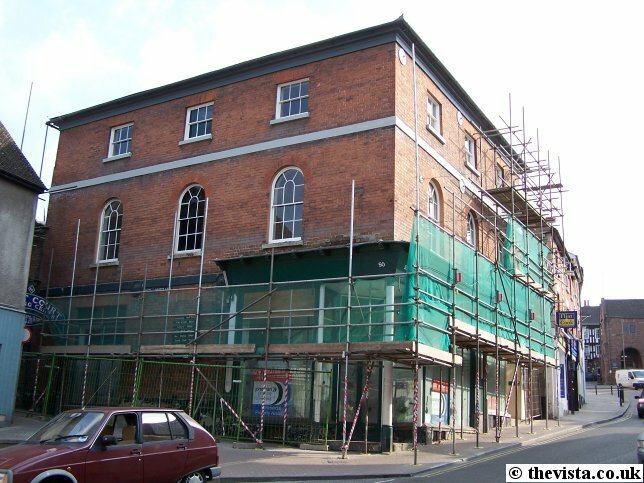 Here we can see the roof of Bank House (Broad Street) in the centre of the shot, looking out from Vaga Crescent. 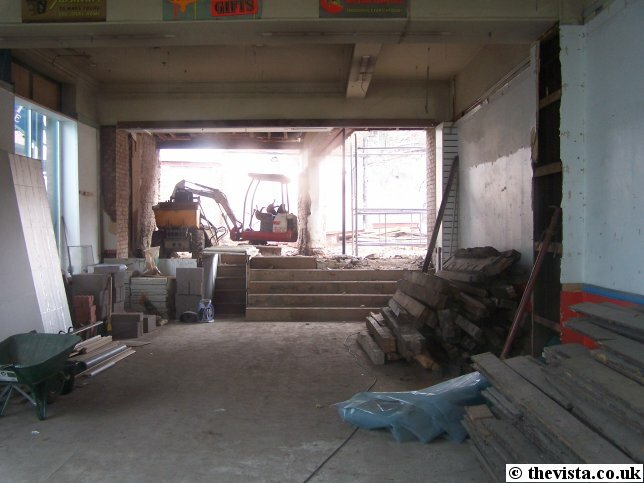 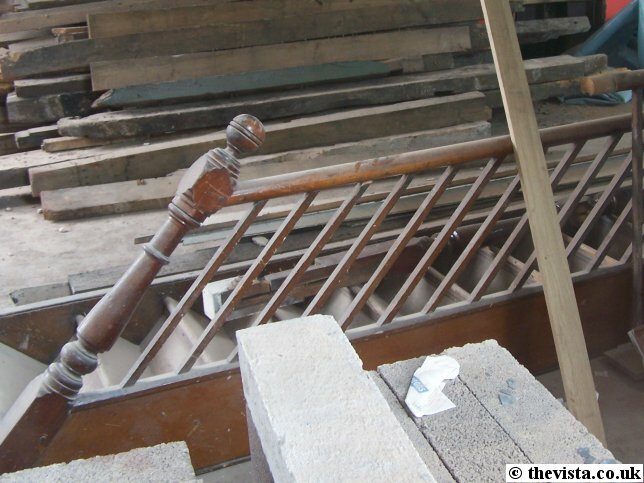 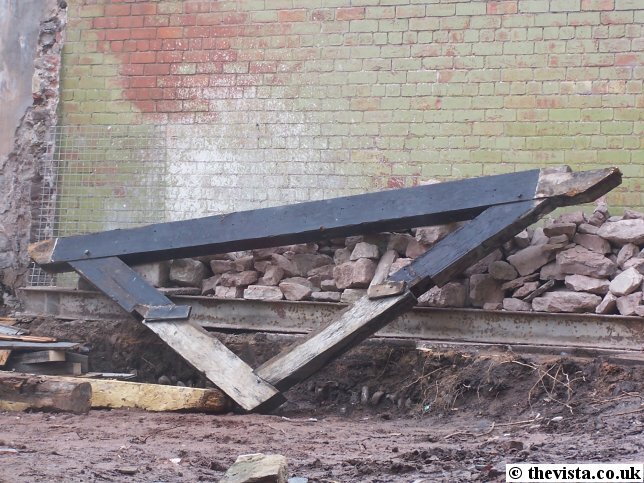 Here we see a set of the stairs that have been removed during the rebuilding. 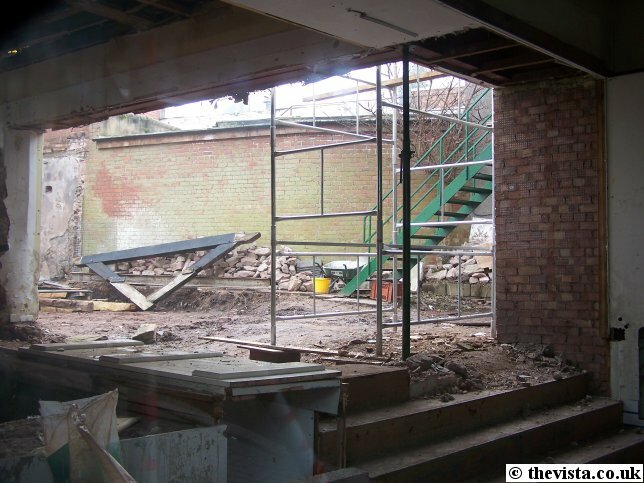 Here it can be clearly seen that some of the upper floors at the back of the building have been demolished. 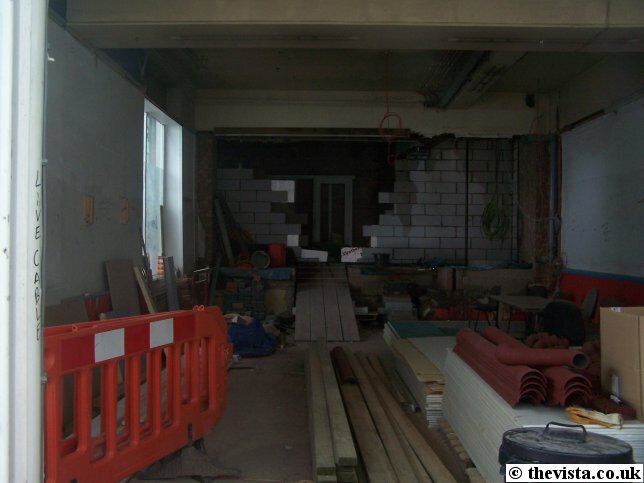 It was possible to see this in the shot from the 18th February but it was not all that easy to see. 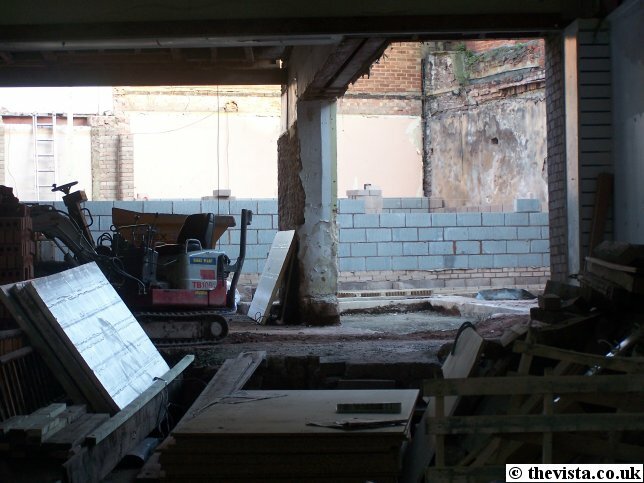 Here we can see that building has started in the courtyard at the back of the site. 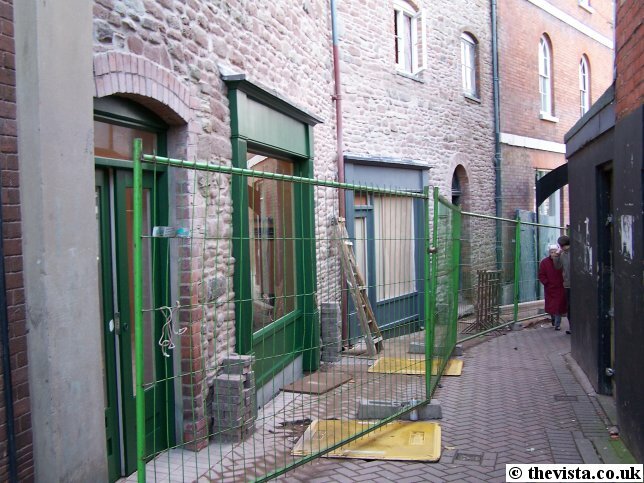 Presumably this will be one of the new shops in this area. 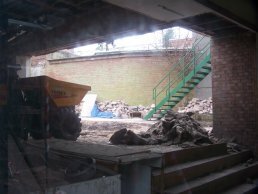 Various parts of the building are in progress and there are various piles of sand and gravel around the site ready for use. 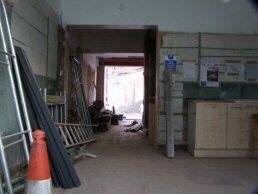 More building materials have arrived so that work may continue. 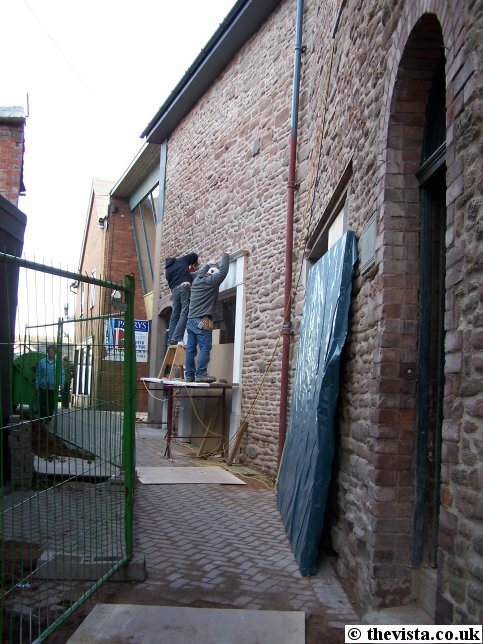 Wall building in the courtyard continues. 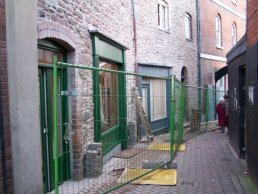 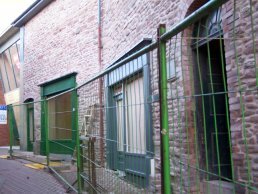 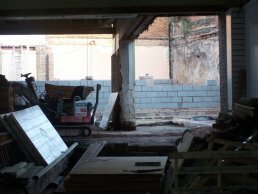 The walls in the courtyard now completely block the back of the original shops as the development continues and most of the scaffold has been removed from the exterior of the building as the roof has now been completed. Here we see that the external work is nearing completion and advertisments for the six one and two bedroom apartments, many with roof gardens, are in place. 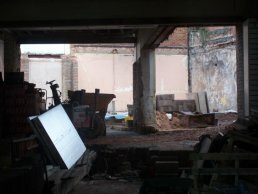 The sign for the five retail shops that will be here is ready to be put up. 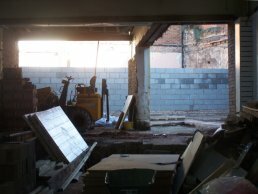 These will be, 50 Broad Street @ 926 sq. 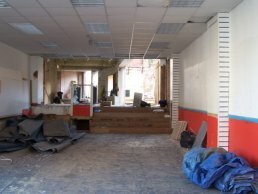 ft., 50a Broad Street @ 470 sq. 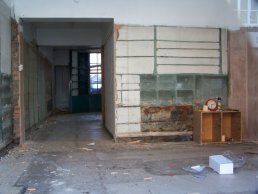 ft., 50b Broad Street @ 270 sq. ft. plus 10 Crofts Lane @ 550 sq. 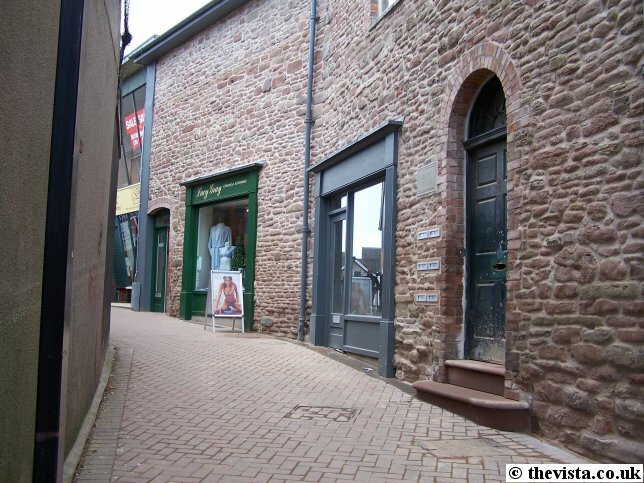 ft. and finally 11 Crofts Lane @ 490 sq. 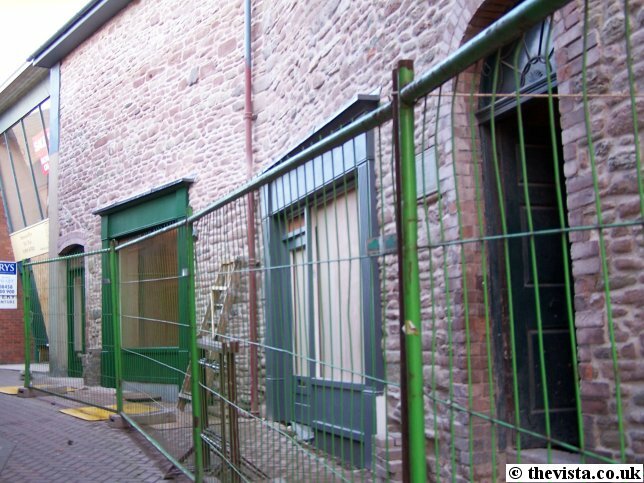 ft.
All of these are being sold/let by Jonathan Preece. 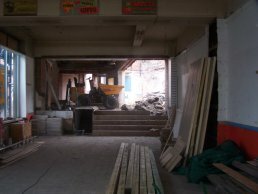 The new shop fronts in the Crofts have been started. 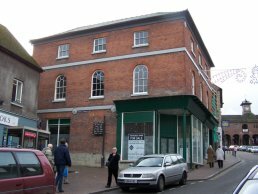 In the background is the sloping front of Saymor's furniture shop. 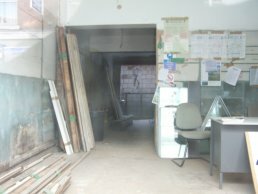 It is in the process of closing and moving to where T.C. 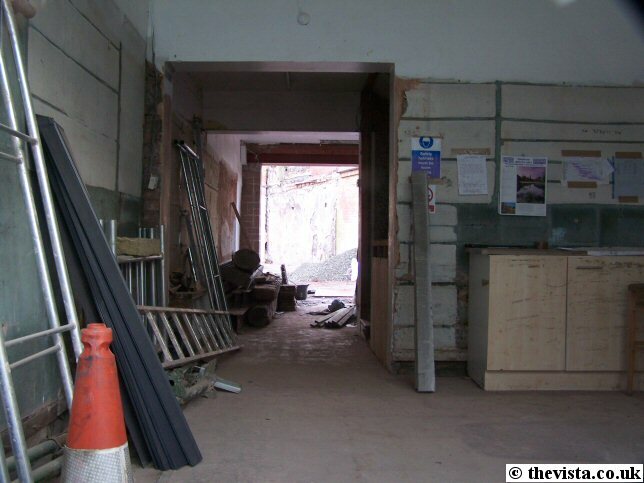 Longfords used to have their show room on the junction between Cantelupe Road and Station Street. 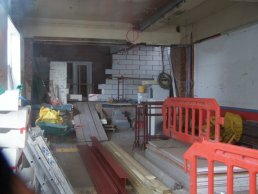 The new shop fronts are well under way. 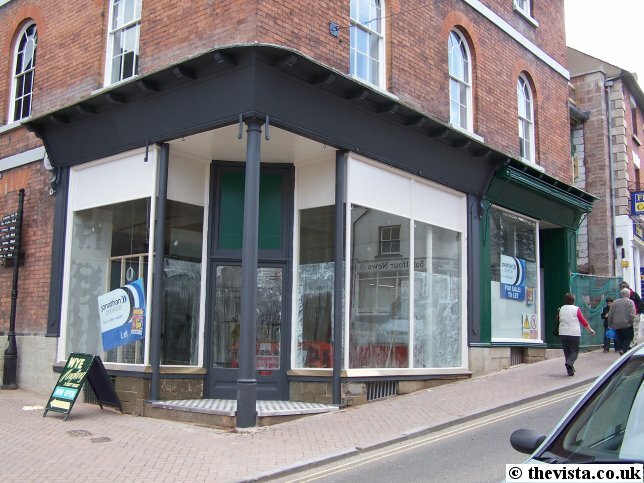 The new shop fronts are now glazed and must be close to completion although the interiors are still being worked on. 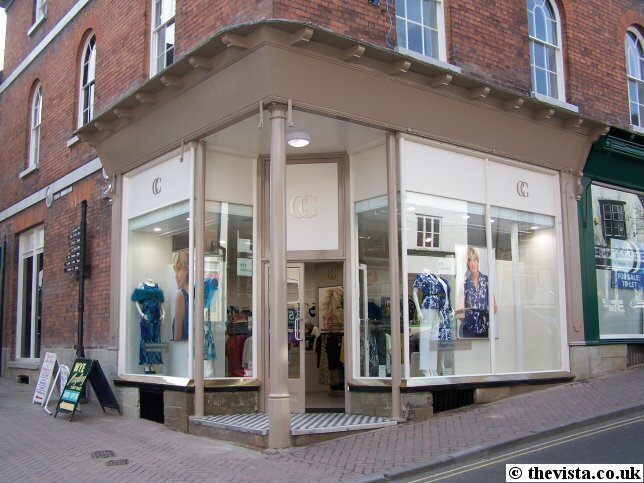 The first new shop in the new Crofts shops opened recently and is Lucy Grey Lingerie and Accessories. Here we see that the outside faces of the building on Broad Street are pretty much complete. 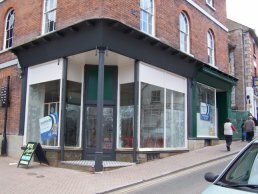 The gap between 50a and 51 Broad Street is now being worked on and the second new shop in the Crofts is up for rent. Now the frontage of No.50 has been painted again and the interior is being wired and developed ready for Country Casuals (as announced in the Ross Gazette on 1st March '07). 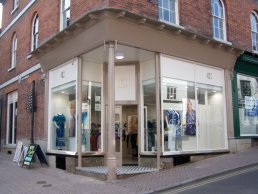 Country Casuals is due to open on 23rd March '07 and is a popular shop selling clothes for special occasions and office wear. 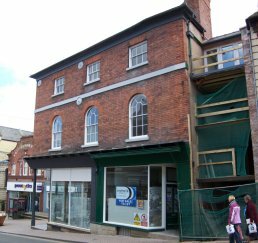 The 2nd shop front in Crofts Lane is now complete and so is the entrance to the flats above. 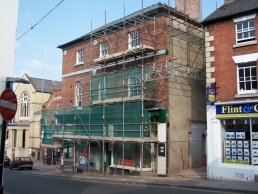 The gap between No.50A and the shop next door has had the upper floor glazed and the lower floors are now being developed. 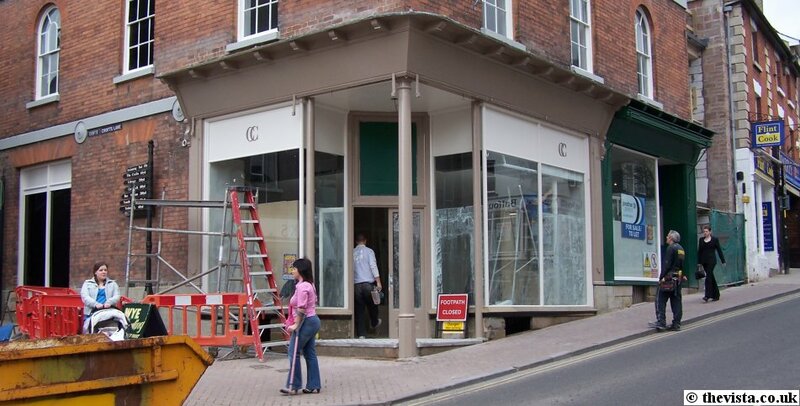 The front of No.50 has been painted and had the Country Casuals "CC" logo added. 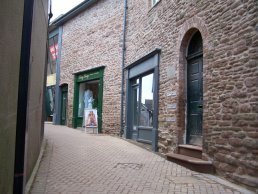 Country Casuals have now moved in and the shop has opened. 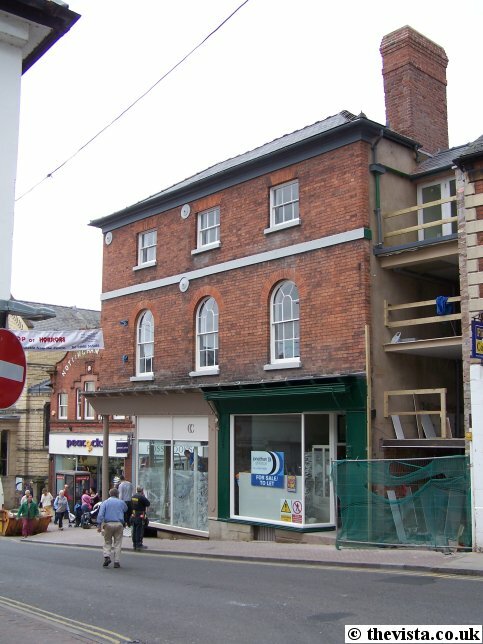 The gap (as mentioned above) has now had a glass frontage added. 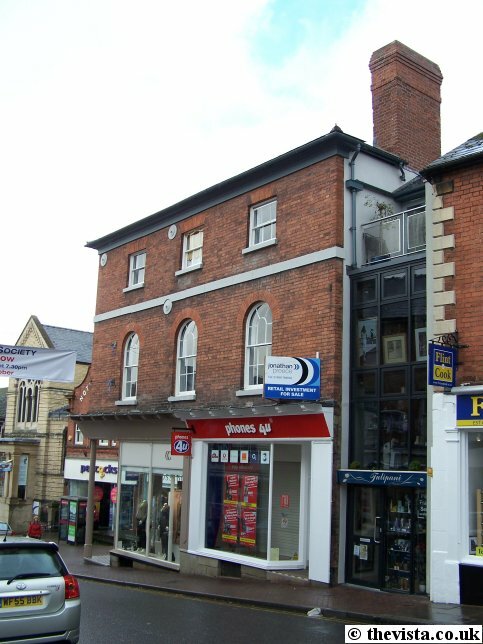 phones 4u have now moved in to 50a Broad Street and the shop opened on 22/9/2007 and next door, in 50b (the glass bit), Tulipani Bianchi opened around 28/7/07.